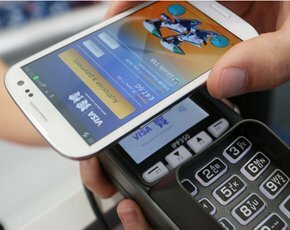 This autumn, it seems that mobile payments are finally taking off. In October, Sainsbury’s and Asda said they would be joining Thomas Cook and House of Fraser in accepting Zapp, an app that lets people pay at the checkout using their mobile phone. This follows the ‘game-changing’ launch of Apple Pay. We can draw a parallel with Uber, which has achieved global success through the simple way it connects pedestrians to nearby taxis. Likewise, Airbnb is shaking up the world of bed and breakfasts. The point is that simple design – giving customers what they want, when they want it – is better, but often overlooked. So how can you simplify a business with digital design? Through our work with companies across industry, we have come up with an appropriately pared-down answer: reduce, remove and manage. We saw a global pharmaceutical company apply this thinking to its underperforming clinical testing division and used social intelligence to identify more suitable clinical trials. A large outdoor advertising company used this principle to cut the time it took to authenticate its clients’ adverts. To assure clients that their adverts have been placed in the correct area and time, they now use smartphone technology to improve the flow of data. As the ad is put up, photos are taken with a time and date stamp which shows clients that their specification has been met – but also allows them to bill clients from the second the ad is up. This has reduced the manpower required, removed a layer of complexity, and restructured how their business works. Some businesses, and functions within these businesses, can handle complexity better than others. In certain environments, you can achieve greater success through managing complexity than trying to eradicate it. High-frequency trading, for example, is built on digital complexity because it uses sophisticated algorithms. Similarly, when easyJet added complexity and introduced allocated seating, it had to ensure it ring-fenced the complexity from areas that drive its competitive advantage, such as pricing and operational efficiency. The digital environment offers businesses opportunity and complexity in equal measure. Left unmanaged, the complexities can outweigh the opportunities, but through a solid understanding of business design, the digital environment can offer routes to simplicity.